and stylish reading glasses today! 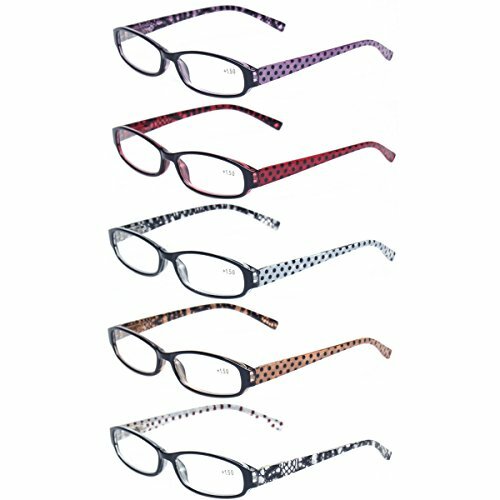 Classic shape fashion frame reading glasses with Elegant Colorful Beautiful Patterns for a fresh look. Universal size fits most face shapes. 5 pairs of men and Women reading glasses at 1 low price with colors available: blue,green,aqua,black and red. Lightweight Metal frames and plastic lenses with flexible spring hinge temples ensure a comfortable fit without uncomfortable pinching.